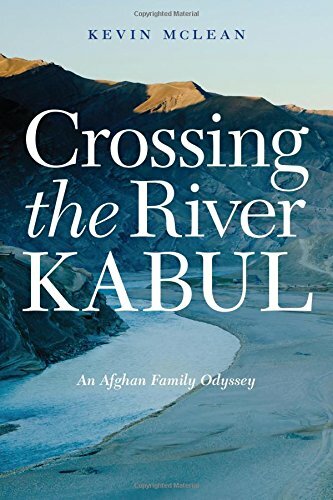 Crossing the River Kabul is a memoir that reads almost like a diary. It is the real life account of Baryalai Popal, the son of one of Afghanistan’s premier families. As memoirs go, it is full of family and individual details, but there is one difference that helps the book stand out among similar accounts: It is as much a political and historical textbook as it is a personal memoir. This is because Bariyalai (nicknamed Bari) is not just an ordinary man with an extraordinary life, but an ordinary man from an extraordinary family. Bari’s father Abdur Rahman Popal made a name for himself in Afghanistan’s foreign ministry in 1919, advisor to kings and prime ministers, and later the governor of Badakhshan, a northeastern province. Bari was the young, carefree only son who cared more about horses and kite flying than the politics of his country. But then the Soviet invasion occurred, and the communist party began kidnapping and murdering men with alternative views like freedom and democracy. Later, the Soviets also began rounding up young men for military service, and Bari had to flee to Pakistan for his life. He left behind a wife, two young children, an old mother, and a disabled father, and became one of two million refugees who fled Afghanistan to neighboring countries like Pakistan. The book follows both a bird’s-eye view of politics as well as a close view of Bari’s personal life in equal measure. If there is an account of Bari’s travels to the city of Ghazni as a young man, it must be accompanied by historical sketches of the area from the invasions of the king of Persia, Alexander the Great, Mahmud of Ghazni, the British, and finally the Taliban. If there is mention of Abdur Rahman Popoal’s transfer to Faizabad, it must be accompanied by a discussion of the lapis lazuli’s rich and ancient history, including how the Mujahideen used Russian mines to harvest the precious stone from Faizabad’s mountains. All this attention to detail paints a riveting portrait of Afghanistan’s story as a nation. Readers are taken on a journey where they witness history-altering events, such as a meeting between U.S. Vice President Richard Nixon and Afghan Prime Minister Daoud which ultimately led to the Soviet invasion of Afghanistan. This is not just backstory, however. Bari’s father Abdul Rahman Popal was present at that meeting. Similarly, readers witness ruling households killed by kings and warlords, young men taken off the streets and tortured because of their anti-communist views, the Mujahideen fighters funded by America and Pakistan, because Bari Popal saw all these events first-handed. He lived the destruction of his country, not from the perspective of the average citizen but from the viewpoint of decision makers, advisors, and political appointees. In Pakistan, readers witness the hostile treatment that Afghan refugees face at the hands of their Pakistani brethren, many of whom are of the same tribal affiliations but are equally resentful at the influx of Afghans in already struggling towns. From Pakistan, Bari travels to Turkey, where he seeks asylum in Germany. Finally he can call his wife and children, and they are reunited as refugees in the harsh German climate. The children go to school, his wife learns English and gets a job, and Bari himself sells used cars, dreaming of going to America. A few years later, his dreams are realized, and the family buys a franchise in California, eager to live in the land of opportunity. As far as memoirs go, Crossing the Kabul River is a solid offering, especially in terms of the rich historical and political details it provides. Western audiences will appreciate learning about Afghanistan’s cultural traditions, its harrowing history, and the struggles of the Afghan people. A great deal of light can be shed on the political intrigue and machinations undertaken by both American and Soviet governments, and a new realization of the fierce resilience of the Afghans as they watch their country destroyed by external forces for millennia.